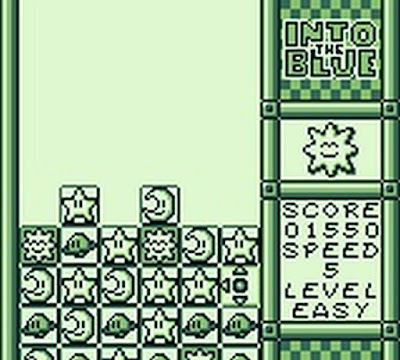 Oh joy of joys, if you loved the 1984 game of Tetris or the 1995 game of Tetris Attack, you'll be pleased to know a brand new puzzle game inspired by those games has been released for the Game Boy. 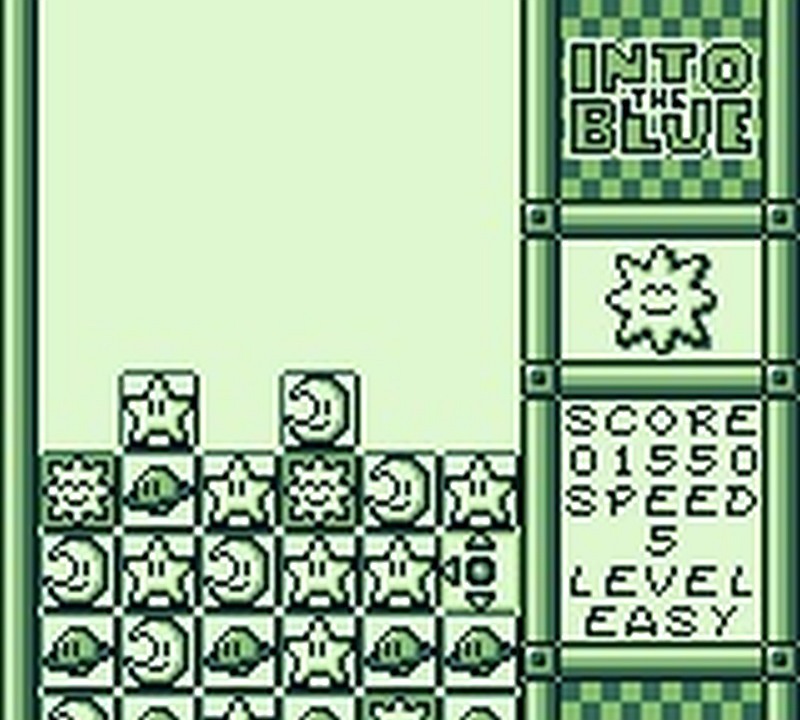 This game named as 'INTO THE BLUE', is a puzzle game developed by Jonas and comes with all the features you would expect of an officially released game from back in the day(Romhacking). As noted by the main page, you have a vertical playfield with panels raising from the bottom. The panels can be rearranged and will disappear if three (or more) matching panels are lined up in a horizontal or vertical row. 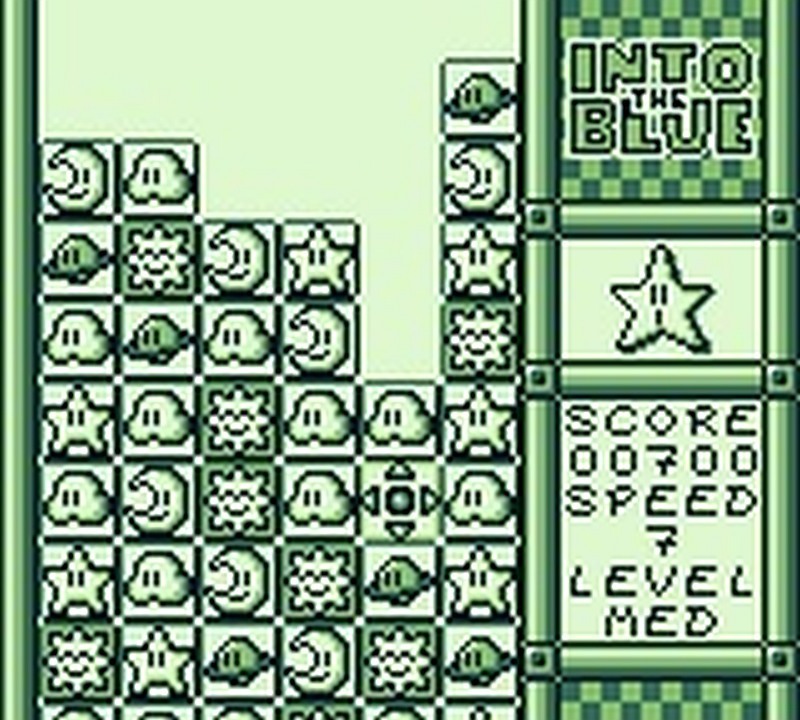 The game is over if a panel touches the upper border of the playfield. 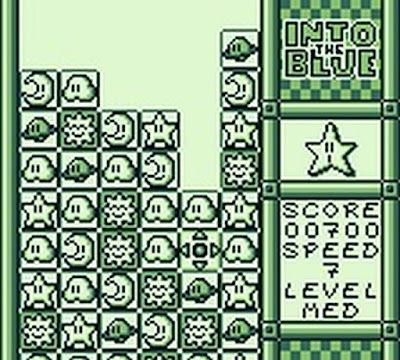 As for what the game features, it has 9 speed levels, 3 difficulty levels, 3 in game songs, 1 title song and 1 competitive mode for two players.